Over the last few years, the impact of the Internet and the transition from what I call an analog lifestyle characterized by physical magazines, newspapers, records, CDs and the call to a digital one has had numerous implications. Key among that is the how as in how consumers access and consume content. While some will still buy CDs that house the latest tunes and games, devices and services such as Apple’s iTunes, iPod, iPhone and the iPad, Spotify, Pandora Media as well as streaming services from Netflix and others has had the same impact on music that Amazon.com, Kobo and others have had on book publishing. There have been changes in business models that been beneficial to those companies mentioned above that either saw the future and embraced it. There have also been companies that have struggled along the way. Some companies, like The New York Times, are trying to find their way while others like Newsweek have been forced to embrace an all digital model. Beneath the distributors of content — Apple, Spotify, Pandora, newspaper and magazine publishers and so on — the ripple effect is also being felt on content creators — musicians, authors and the like. While authors are seeing their articles and books downloaded, musicians have seen the playing field shift from consumers having to buy entire albums regardless of the format to individual tracks. No loner does the the music industry book the bulk of its revenue on a per album basis, but rather on digital singles. Despite that economic shift, airplay on broadcast is still the number one determinate of whether a song is a hit or a bust. For generations, music played on broadcast radio was viewed as promotional material for the artists. While companies in other industries pay to get their material on the air through ad sales, musicians and their record labels get their promotions for free. Even today, 240 million Americans still listen to broadcast radio, even as competition for listeners becomes stiffer thanks to MP3 players like iPods and cell phones, satellite and Internet radio. Even as Internet radio grows in popularity and I expect it will given the install base of Apple’s new iRadio, the costs make profitability difficult to achieve because the government royalty board at the Library of Congress determined that Internet radio stations like Pandora pay six times the royalty rate of other mediums. Some in the music industry have recognized the changing landscape and have begun negotiating comprehensive deals that acknowledge the current multi dimensional aspect of the industry today. Warner Music Group and radio giant Clear Channel (CCO) recently agreed to a deal where Clear Channel agreed to compensate Warner and their artists when their music is played on the air and in exchange, Warner agreed to lower the royalty rates for music Clear Channel streams on the Internet. 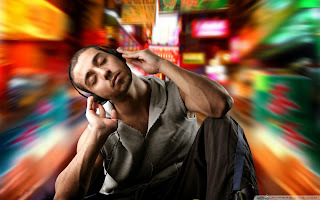 The Warner Music – Clear Channel deal benefits both companies – Clear Channel will gain profitability on the growth of streaming music while Warner Music will get compensation for music played on the air. And the consumer get what they want – a wider range of music selection and the ability to consume that content where they want and how they want. Despite the progress made by Warner Music and Clear Channel, there are those in the recording industry are seeking a governmental solution that would again give them the upper hand at the expense of consumers. Congressman Mel Watt has announced that he plans to introduce a bill that would make radio broadcasters compensate musicians and recording artists for playing their songs over the air. Currently, only songwriters and publishers have this type of right, which has enabled them to collect royalties from radio stations for playing their songs. Only Internet and satellite radio stations, such as Pandora and Sirius XM Radio SIRI, are required to pay royalties to the artists themselves. Through the Watts legislation, the record companies are now asking to have the benefits of airplay and have radio stations pay them for the benefit of airplay. Should that legislation come to pass it would have a direct impact on the bottom lines of companies like Saga Communications Salem Communications Cumulus Media CMLS and even CBS which operates 126 radio stations across 27 markets. National Association of Broadcasters’s spokesman Dennis Wharton has said that Watt’s proposal would “kill jobs at America’s hometown radio stations” and direct money “ to offshore record labels.” With the last three months generating less than 150,000 jobs on average according to the Labor Department, is now the time in the recovery to enact such legislation?